Family is defined as Father, Mother & Children under 18 or in full time education. Persons joining on or after 1st October 2018 pay half the annual fee above. Persons registered directly with HOAC or through another club pay QSC subscription only. 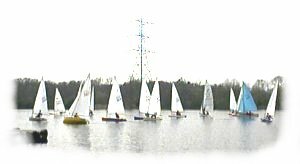 QSC Boats are available free to our members. Boatparking Fees should be paid directly to HOAC. Please complete the Upgrade (Boatparking) Form to be found in the HOAC Brochure. To download the membership application click here.